The Natural Trust is a fantastic charity which has been protecting our countryside and heritage since 1895. Relying on public support to run The National Trust has over 3.6 million members, and 55,000 volunteers who help to look after a staggering 925 outlets including parks, gardens, historic houses, nature reserves and ancient monuments to name just a few. The National Trust has now developed a wonderful range of educational gifts to engage and entertain your kids for hours. 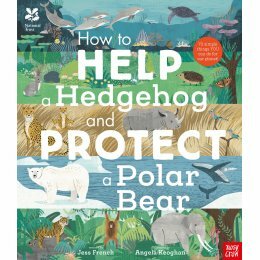 These sensational gifts help teach children about the wonders of nature and enjoy the world around them.